I never met Marlene Prince, but she was very special to me. 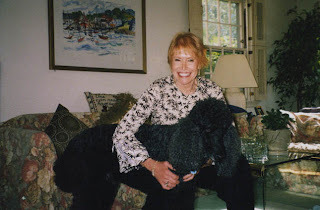 She was one of my earliest animal communication clients, having contacted me back in 2007 to request a session for her stately black poodle, Jack. Neither of us dreamed that it would change all of our lives. There was nothing special going on with Jack at the time Marlene first called me. She just wanted to know whether he was happy, healthy, and enjoying his life. Though she was a cancer sufferer herself, her only thoughts were for Jack's well-being. She never talked much about herself. In the course of my session with Jack, I detected a tingling sensation in one of his toepads, and mentioned this to Marlene, though I wasn't sure what it meant. Oddly enough, on the very day that I told her about her beloved dog's foot, she noticed that he was limping on it. That was enough to prompt her to seek her veterinarian's opinion as to what might be going on. But after examining Jack, her veterinarian said he could find nothing amiss. Marlene didn't believe it. She sought a second opinion, and again, the veterinarian told her that Jack was fine. At that point, another person might have doubted herself, but not Marlene. She made yet another appointment with a third veterinarian, and sure enough, this one told her that Jack had cancer in the very toepad in which I had felt the tingling. 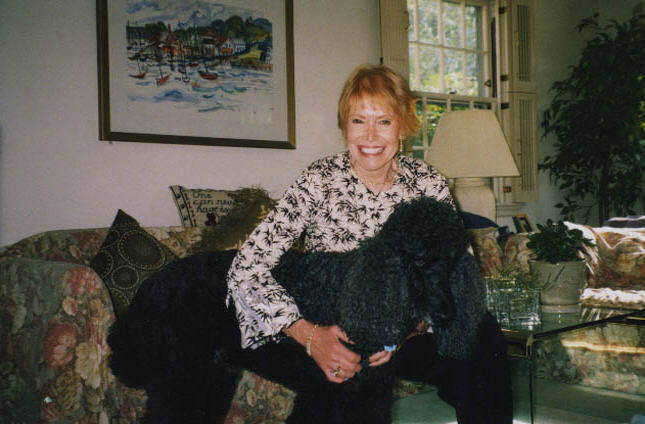 That diagnosis--and Marlene's refusal to take "no" for an answer when it came to the health of her dog--saved Jack's life. And it changed mine. When she contacted me after Jack's uneventful recovery from the surgery to remove the cancerous toepad, Marlene was effusive in her gratitude. I was humbled by this gentle lady's strength and compassion, and by the opportunity to share in her good news. And so, like everyone who loved and cherished Marlene Prince, I mourn her passing. She truly enriched my life.